Cloudflare is collaborating with Google, Microsoft and other cloud and networking companies on a new initiative to reduce the cost of bandwidth and other resources in public cloud. Called Bandwidth Alliance, the new initiative was announced on the eve of Cloudflare’s eighth birthday. Most of the cloud providers charge fees for data transfer, also called the bandwidth fees. These charges include the cost of delivering traffic from the cloud to the consumer. Plus, when enterprises use content delivery networks like Cloudflare, the data transfer charges come additionally with the cost of content delivery. The companies participating in the initiative will commit themselves to provide cost-efficient experience to mutual customers by reducing the data transfer fees. Why service providers charge data transfer fee? Well, if a website is hosted in Virginia and someone visits the site from Australia, then the traffic is moved between the two places either by the cloud providers themselves or is handled to transit providers. For moving the traffic, an infrastructure is maintained, which is slight expensive for the service providers. Hence, it makes sense for them to charge the customers. A large number of enterprises use Cloudflare to optimize the delivery of web pages to their visitors, increase page-load times and performance. Cloudflare also blocks the threats and limits the abusive bots from consuming the bandwidth and server resources. Cloudflare is connected to thousands of service providers via transit providers, internet exchanges, peering interconnects, and private network interconnects. The large footprint will allow Cloudflare to meet the partners, know the location of infrastructure, and exchange traffic with them at low-cost. 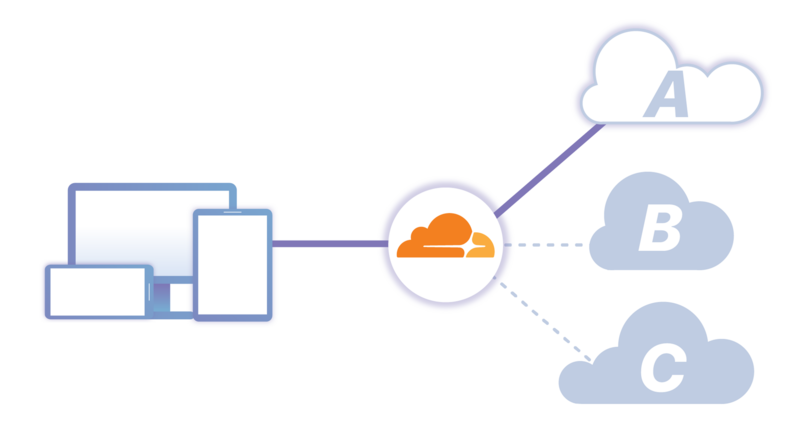 Cloudflare has been working with Google Cloud for last three years as a part of their CDN Interconnect program. With the program, both the companies provide discounts to mutual customers on data transfer charges. Further, Cloudflare is also a part of Microsoft Azure’s own CDN interconnect program. The newly announced Bandwidth Alliance will bring together Google Cloud, Microsoft Azure, Cloudflare and several more companies to help their mutual customers do more for less. The other participants in the Bandwidth Alliance include Automattic, Backblaze, DigitalOcean, IBM Cloud, DreamHost, Linode, Packet, Scaleway and Vapor. “IBM Cloud enables our clients to achieve greater business value by accelerating their journey to cloud to help them build, modernize and migrate their applications,” said Faiyaz Shahpurwala, general manager, IBM Cloud. A new smart routing system has been implemented to make sure that all the mutual customers can qualify and reduce costs using the new initiative. Additionally, Cloudflare said that it has agreed with several cloud providers to not only provide discount, but also to waive the entire data transfer fees for mutual customers. Cloudflare expects that the initiative can save around $50 million in data transfer fees every year.